Remember Google+? Sort of, maybe? You might want to remember quickly, especially if you work in an office. The search giant’s failed social media endeavor is now reborn as Google Currents, and it’s taken on a different pathway — it’s now an internal resource for employees, akin to (as Product Hunt notes) Facebook’s Workplace and Microsoft’s Yammer. Essentially, it’s a way for leaders and employees to exchange ideas across the organization and get feedback without clogging up your inbox. Users can tag posts, attach images or documents, comment, ask questions and track analytics for their posts. While content is prioritized in the streams for each individual, Currents is definitely a tool for company higher-ups: Posts from leaders are given priority in the home stream, and admins can create custom streams to promote specific content. 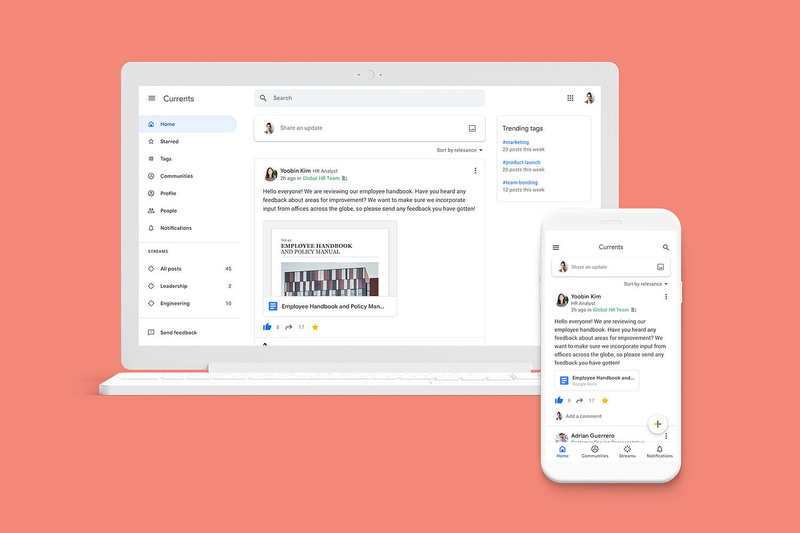 The service is currently in beta, but G Suite companies can begin requesting access starting now.